Started third and finished sixth. Reported the No. 14 was fast but very loose in traffic. Bowyer said he nearly spun two or three times and couldn’t race around other cars. Crew made several air and chassis adjustments during pit stops to cure the handling issues. Bowyer never fell out of the top-10 and finished sixth. Started ninth and finished fifth. As the stage wore on, the No. 14’s handling improved. “Man, she’s fast,” reported Bowyer during the closing laps of the stage. Several cars experienced tire issues, but Bowyer’s car had no such issues. Bowyer was closing on the leaders as the final laps wound down in the stage. Started fifth and finished ninth. 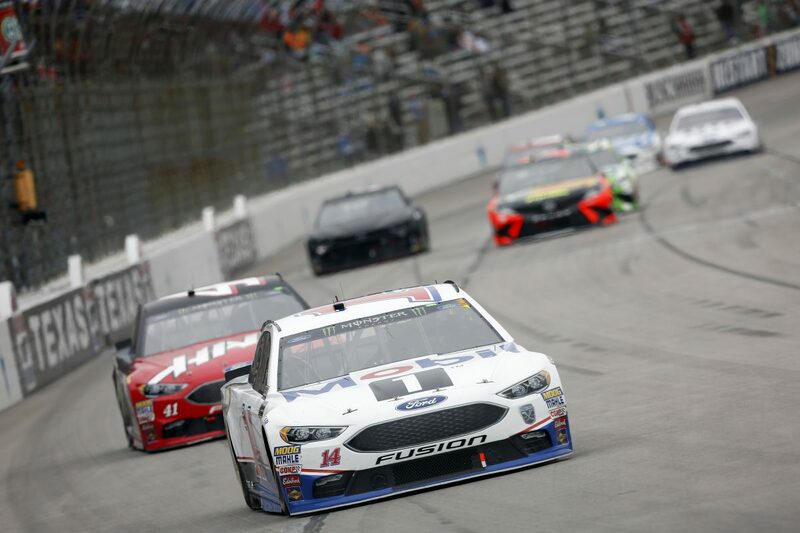 Bowyer avoided a seven-car melee that took out some top contenders following the restart to begin the final stage. Bowyer restarted fourth with about 80 to go, but he was pushed into the high groove by another car and dropped to 11thplace. He slowly regained some of the lost positions, but an untimely caution with 30 laps remaining left him a lap down and forced him to use a wave-around to return to lead lap. Restarted the race in 10thwith 23 laps remaining and finished ninth. This was Bowyer’s fourth top-10 of 2018. This was Bowyer’s 11thtop-10 in 25 career Cup Series starts at Texas. Bowyer finished sixth in Stage 1 to earn five bonus points and fifth in Stage 2 to earn an additional six bonus points. Kyle Busch won the O’Reilly Auto Parts 500 to score his 44thcareer Cup Series victory, his first of the season and his third at Texas. His margin of victory over second-place Harvick was .3 of a second. Only 10 of the 37 drivers in the O’Reilly Auto Parts 500 finished on the lead lap. The next event on the Monster Energy NASCAR Cup Series schedule is the Food City 500 on April 15 at Bristol (Tenn.) Motor Speedway. The race starts at 2 p.m. EDT with live coverage provided by FOX beginning with a pre-race show at 1:30 p.m.